Binary options and prediction markets are financial instruments that are grossly underutilized—and that’s probably because not a lot of people are aware that they exist. Binary options and prediction markets are amazing because they provide the necessary pieces to generate a collective prediction of the future and help you generate income. Binary options get their name from their all-or-nothing payouts. Either you win or lose—there is no in-between. The payout could be a fixed amount of cash, a specific amount of stock, or some other underlying asset. Binary options are attractive because you know the risks and rewards in advance. There is a fixed payout for a fixed risk. Most binary options are triggered by small moves—prices rising above or dropping below the current market level. For example, you could purchase a binary option for $50 that pays you $100 if the price of Apple is above $200 when the price of Apple is currently $200. The binary options you purchase may have different durations. You could purchase one that expires in 1-week or one that expires in 60-seconds. 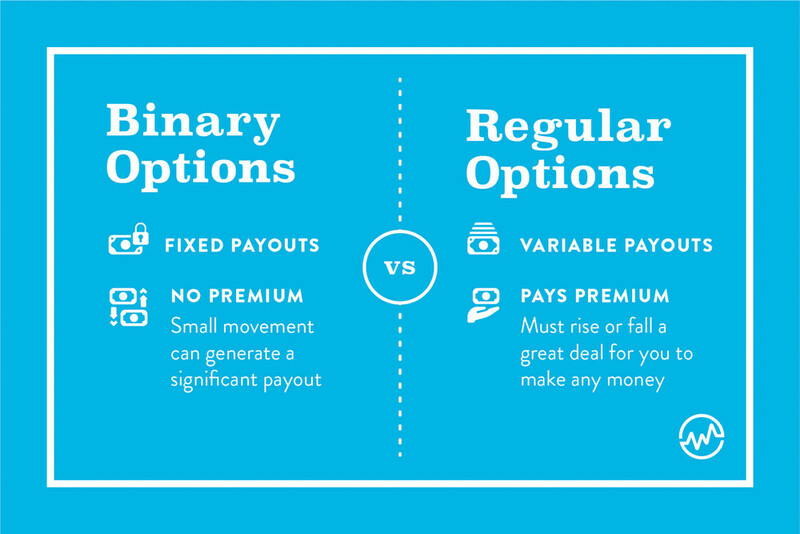 How are binary options different than “regular” options? Binary options differ from “regular options” in a few important ways. First, binary options have fixed payouts. Regular options have variable payouts. A binary option on the EUR/USD might pay $100 if it’s higher than its current spot in 1 week. Meanwhile, a regular option has a variable payout that can be unlimited if the price of the EUR/USD is above the strike price (plus the premium of the options). When you buy a regular option, you pay a premium. The price of the underlying asset must rise or fall a great deal for you to make any money. With binary options, you can generate a significant payout with just a small movement in the price of the underlying asset. How are bid and ask determined in binary options? Binary options are priced similarly to regular options, but the bid-offer spread is a bit different. Instead of reflecting the premium of the option, binary stock option spreads reflect the payout that you will receive. Binary options are prices the same way. For example, if you purchase the EUR/USD binary options that expire in 1-day, where the payout is $100, you might see a bid-offer spread of $95/$100. How can binary options exercise? Binary options are generally exercised into cash but you can also receive assets. This means that instead of receiving a payout in cash, you might receive a stock if the binary option is successful. Unlike regular options, binary options do not allow for early exercise. With regular options, if you own an Apple $200 call that expires in a week and the price is $210, you can exercise the option early and take possession of the shares. But if you have a binary option that pays you $100 if the price of Apple is greater than $210, you will not be able to take shares of Apple or receive your payout until the option’s expiration date. There are several regulated binary options markets. The Nadex binary option market is an example of a United States regulated binary options clearinghouse. There are also several over-the-counter binary options brokers. Binary options can be used for anything from generating some extra revenue to hedging your portfolio against risk. There’s even one market that uses binary options to predict the future . . . sounds like magic, right? But it’s not. It’s real, and it’s called a prediction market. While a binary option allows you to speculate the direction of standard assets, prediction markets allow you to invest in the outcome of specific events. Prediction markets are event derivatives. These are exchange traded markets which are used to speculate on an event. These events could be political races, economic reports, or even verdicts of trials. A prediction trade swings between 0 and 100 and focuses on a topic of interest. 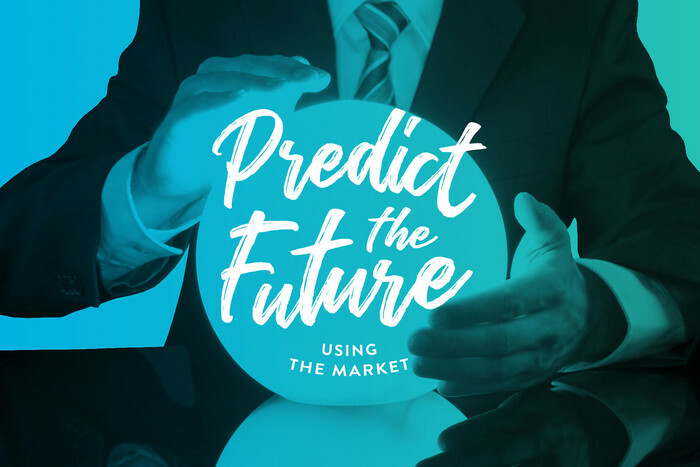 The goal of a prediction market is to generate a payoff for a specific unknown outcome and set market prices for a contract that has a payoff for an aggregated belief. So, it’s kind of like betting? It goes without saying, prediction markets are risky. It’s a bit like gambling with more data about the bet. The difference is that with a prediction market, you’re not just rolling the dice. You can make informed predictions based on good research. So, it’s kind of like betting. You can even speculate or hedge your portfolio on a specific outcome. For example, if you believe that stock price will tumble if an election result occurs, you can use a prediction market to offset any losses you might experience in your stock portfolio. How are prediction markets used? A prediction market is a trade that has a payoff should there be specific result. These markets can be used in several ways. You can speculate on an event that is specific to your interests. You can hedge a position that you have in a different market. In many cases, you can speculate on the direct result of an event as opposed to an indirect result of an event. For example, many people believed that the United States equity markets would see a drop if President Trump won the 2016 election. With a prediction market, you could have speculated directly on whether Trump would win or lose. What are the Risks in Prediction Markets? Prediction markets are considered online gambling in the United States. Since this activity is considered federally illegal, most prediction markets in the United States use demonstration accounts. 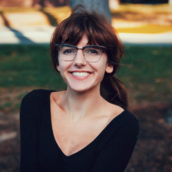 There are some legal demonstration accounts that allow investors to trade using real capital such as the Iowa electronic markets operated by the University of Iowa. This “economic experiment” is regulated by the Commodity Futures Trading Commission. Binary options and prediction markets provide investors with different ways to speculate on the markets. You can use binary options to speculate on small moves in a market around specific events. For example, you might use a binary option to speculate on the direction of a currency pair ahead of an economic event. There are several benefits to binary options—most notably the ability to receive a sizeable payout if the market moves a small distance. Binary options provide investors with a payout that is all or nothing. These options concentrate on assets that are traded around the globe. Binary options can be used to speculate on the direction of an asset or to hedge a portfolio. Prediction markets are filled with investments on outcomes. 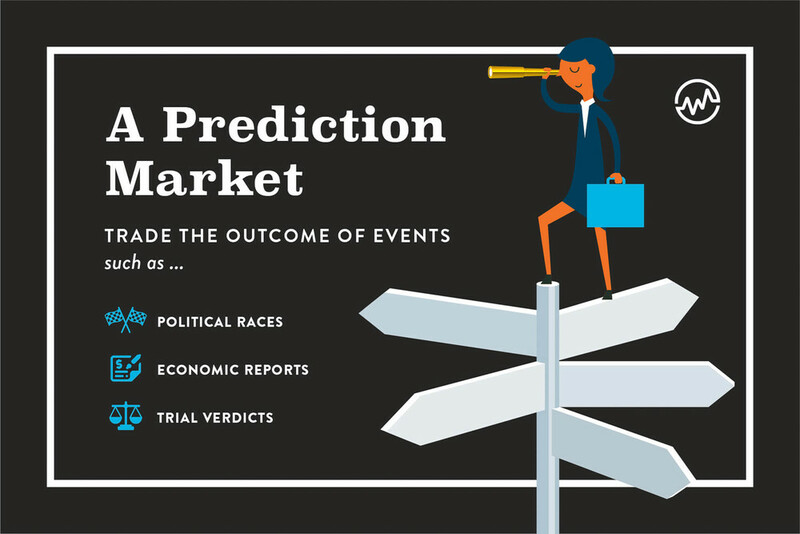 Prediction markets usually focus on an event and have a payoff if that event occurs (or doesn’t occur). An investment in a binary option or prediction market provides you with a payout that you can not receive when using regular financial securities.